The creation of Air Serbia. JAT Airways and Etihad Airways are combining to create Air Serbia and to make Belgrade the central airport of the Balkans. 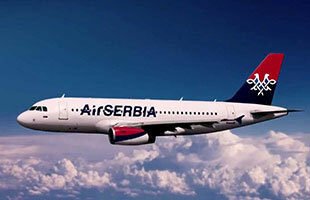 Air Serbia will be immediately equipped with ten new Airbus A319 and aims to become the leader in the region by the end of the year. The first aircraft with the logo of the new airline will fly on October 1st.